Sunset at the Maine Yacht Center. 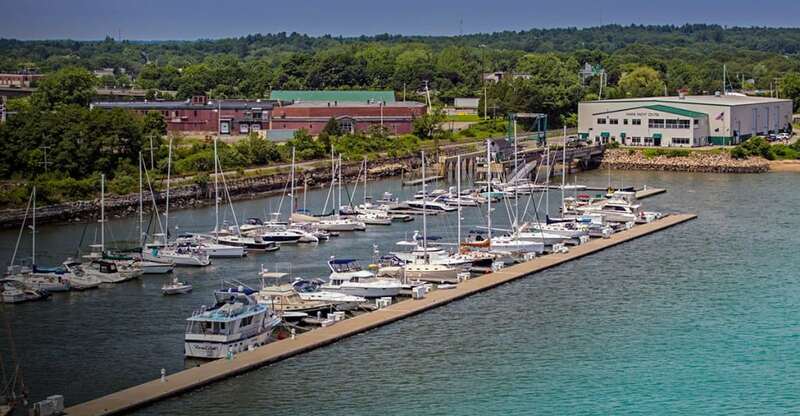 Maine Yacht Center’s (MYC) secure facility is conveniently situated on a peninsula near downtown Portland that offers boat storage safe from any troubling summer winds or ocean swells. In the winter, boats can be kept inside the 60,000-square-foot heated space to ensure vessels’ safekeeping. Additionally, a full-service crew of certified technicians is always on-hand at MYC. 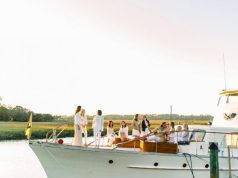 Certified by the American Boat and Yacht Council as well as the National Marine Electronics Association, the craftsmen regularly perform all services from seasonal maintenance to emergency repairs and refits of any size. 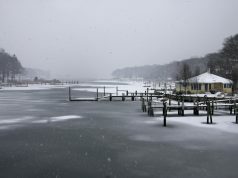 The marina at MYC is able to accommodate boats up to 150 feet with 80 slips and 400-feet of “along-side” tie-up dock space. Shore power is standard for indoor storage spaces and 100-amp single or 3-phase shore power is available for outdoor docking. Along with power supply, each slip has a locking dock box, water, Wi-Fi, and cable TV. When you’re not on your boat, relax in the tastefully decorated lounge or take advantage of the many amenities such as updated bathrooms and showers, laundry facilities and kitchen. 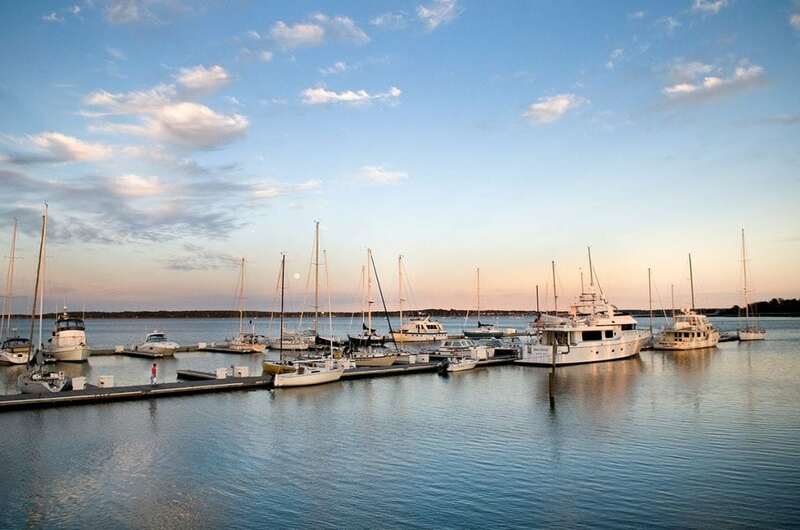 Before you leave make sure to utilize MYC’s ValvTect marine gas and diesel service, or stop by the onsite Watermark Yacht Sales office. 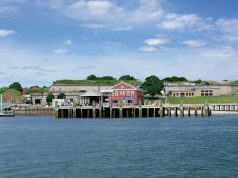 No matter how you travel to MYC, there is ample parking for your car and your boat to fully ensure a great visit to Portland, Maine.